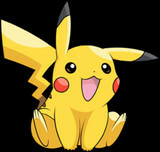 Things Get Wet and Wild at Japan's "Pikachu Outbreak"! The annual Pikachu Outbreak event has struck Japan’s again, resulting in a swarm of yellow dancing furry creatures running amok in Tokyo’s Yokohama area. Watch a video report on the mayhem after the jump! 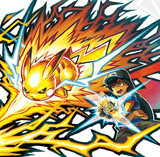 New Pokémon details have emerged from this week's issue of CoroCoro, including a look at some more of the new Alolan forms of existing Pokémon. 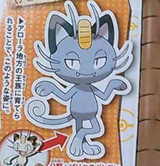 One of those just so happens to be the Alolan Meowth (Nyarth), who is a Dark-type Pokémon. You can see Meowth pictured below along with the Alolan version of Marowak, which is Fire/Ghost-type. More after the jump. Beyond the occasional injury, questionably-related death, and trespassing problems, Pokémon GO is mostly about people coming together and enjoying themselves. Unfortunately that's no longer possible in Iran, which is the first country to fully ban the wildly popular mobile game. Read on for more. As announced via the official Pokémon Twitter account, the upcoming Pokémon Sun and Pokémon Moon games will be getting their own manga adaptation. 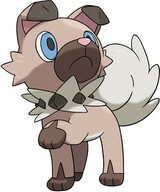 The series will follow a new trainer and his partner Rockruff on their journey through the Alola region, and it all kicks off in the pages of CoroCoro Comic magazine on September 15. More after the jump. The Pokemon Company and Insert Coin Clothing have joined forces to bring us a new set of "Pokemon" clothing! Get ready to wear your favorite Pokemon on your sleeve with an upcoming collaboration between The Pokemon Company and Insert Coin Clothing! Hit the jump for more details. On August 4th, "Fierce Fighting at the Kalos League! Gather, All of My Passion!! 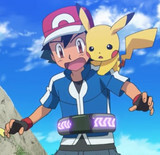 ", the 129th episode of Pokémon: XY & Z and 931th of the Japanese run of Pokémon debuted. 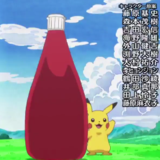 Of note, the "Puni-chan's Song" ending is replaced by "Pikachu's Song," by Tomohisa Sako and Saku, performed by Ikue Ohtani as Pikachu. Of course, this adorable ode to ketchup has become a net-sensation. Pokémon players looking to add the star of the latest anime movie to their Pokédexes can put a big fat circle on their calendars around October. That's when the North American and European distribution event kicks off for Volcanion, a legendary fire and water type Pokémon that will be available for X, Y, Omega Ruby, and Alpha Sapphire via codes picked up at retailers, with the U.S. duty falling to GameStop. More after the jump. Forget the Pokémon GO wrist-strap, it doesn't even have CRYSTALS in it! That's why my money is on the Pokémon Sun and Moon Z-Ring as Best Accessory of 2016. Takara Tomy is preparing to release this special bracelet for kids (or adults, no judgment) to slap on while playing Sun and Moon. What could its multi-colored crystals possibly do, you ask? Find out after the jump! 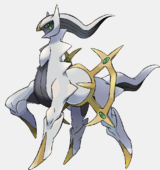 If you still have time for Pokémon after walking 5 miles to watch your Magikarp in Go, you can now pick up a Mythical Pokémon Arceus as the August give-away for the game's 20th anniversary celebration. Get a look after the jump.